Pensacola Beach was once 'whites only' and what is now The Gulf Islands National Seashore was one of the few beaches near Pensacola that was African American friendly. 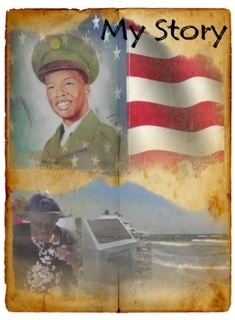 Army Private Rosamond Johnson, Jr. was the first Escambia County resident to die in the Korean War on July 26, 1950. He successfully carried two wounded soldiers to safety and was returning with a third, when he was fatally wounded. He joined the military at age 15 and died at 17. He posthumously received the Purple Heart on August 21, 1950 and several veteran groups are still working to see if Johnson deserved additional military honors. During the early days of an integrated military, it was not uncommon for recognition to be overlooked for black troops. 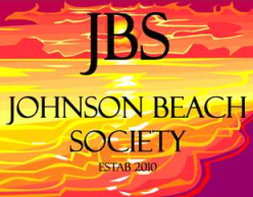 Pensacola beaches were racially segregated at the time of Johnson's death; the Gulf beach area was a popular area for blacks. After the Korean War, the county-owned recreational area was renamed to honor its fallen hero at the suggestion of the Sunset Riding Club, Inc. The club leased the land in 1950 from the county for the sole use of bathing, beach and recreational facilities for "colored citizens." Although the lease was canceled in 1956, the name Rosamond Johnson Beach remained. The area became part of Gulf Islands National Seashore on May 8, 1973. When the Minutemen gathered at Lexington and Concord in April 1775 for that “shot heard round the world,” African Americans were fighting along-side other Patriots. At least 5,000 African Americans fought for our new nation during the Revolutionary War, and when the British finally surrendered to George Washington at Yorktown in 1781, about ¼ of the American Army was black. The sites at Lexington, Concord, and Yorktown are now part of our National Park system. Many are familiar with the 54th Massachusetts regiment during the Civil War, made famous by the movie “Glory” with Morgan Freeman and Denzel Washington. But before the 54th Massachusetts, the very first black Union troops – known as Louisiana Native Guard - were raised after New Orleans fell to the Union in 1862. The 2nd Regiment of the Louisiana Native Guard was stationed at Fort Massachusetts on Ship Island (now part of Gulf Islands National Seashore) and they launched the first engagement by Black U.S. Army regulars during the Civil War against Confederate troops at Pascagoula. The famed Tuskegee Airmen were the first African American military aviators in the U.S. armed forces. Following WWI, it took over 20 years of advocacy by African Americans who wanted to enlist and train as military aviators. When they were finally allowed to train and get their wings during WWII, the Tuskegee Airmen served with distinction, setting a record for destroying five enemy aircraft in under four minutes, and shooting down three German jets in a single day. Today the Tuskegee Airmen training site is also part of our National Park System. I’ve shared all of this with you today to say this - we are proud; I personally am proud, to have this beach – part of Gulf Islands National Seashore - named after our own hero, Rosamond Johnson. We will continue to tell the story of his service to his country, and his sacrifice, and of the history of this beach. It is a story that belongs to all of us. In 1978 the National Park Service completed purchase of over 1,000 acres (4.0 km2) of land on Perdido Key from Johnson Beach to Pensacola Pass for about $8 million. For years this area was called Gulf Beach, and it evolved into being called Perdido Key. Many "old timers" still slip and call the area Gulf Beach.